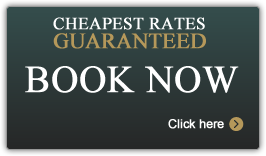 Booking direct with Holgate Bridge offers you access to unbeatable rates. When booking: No deposits or prepayments are required unless for group bookings; a debit or credit card will simply be required to secure a room. A minimum of two nights stay is required over weekends and bank holiday, except in January. Loss of first night for cancellation at less than one week's notice. Full payment for rooms cancelled with less than 48 hours notice. This is not applicable to payment made by debit cards or cash. We no longer accept cheques. We are happy to provide flexibility on timings if arranged prior to arrival. Free secure parking is available in our car park found to the rear of the hotel. Guests are welcome to use the car park prior to 2.30pm - please advise reception once you have arrived. Please enquire direct for further details on tel: +44 (0)1904 635971.